Hey Brent, how goes? We go back a long way, heh heh .... from CC to Avril and now the magnificent Hayley. This is THE site to get the scoop on Hayley. There are a bazillion audio and video clips here and countless impossible-to-find-anywhere-else photos. hi, i s'pose some of you from CCfans can recognize my name. anyway, i'm not a fan of Hayley, but I'm always ready to be an objective critic of any artist that comes my way, so no, i'm not a troll. I have already posted some messages on another Hayley site, under the name 'one of Hayley's biggest fans'. I wanted to use the same name here but it was rejected. Delighted you have joined us. Don't know why it wouldn't let you register with that name - software obviously didn't like the flavour. It's good to see another fan from North of the border, from whence some of my own ancestors came. I look forward to hearing more from you soon. Glad to have you with us. Perhaps as Hayley conquers the north American continent, you will be converted to a fan. I hope so, but music is a subjective interest. Glad that you've joined us. Hope that you will visit often! How far North of the wall (of Hadrian) do you live? The reason why I'm asking is that today (6 April) is Scottish holiday here in the USA. It's called Tartan Day, marking the day in 1320 when Scottish nobles vowed independence from England and signed the Declaration of Arbroath. Coincidentally, this document is said to have been the model for America's Declaration of Independence signed in 1776. My favorite music artists are David Usher, Fiona Apple, Tori Amos and Sarah Mclachlen. But I take classical singing lessons as well so I do have an interest in new teen "classical" sensations. 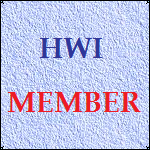 Welcome to the HWi forum. I hope you enjoy being a member here, and that you will post messages from time to time. Be sure to visit Hayley Westenra International, the fansite associated with this forum. There's loads of material there going right back to the beginning of Hayley's career. Good to have you with us at such an exciting time. Welcome to the forum, hope you enjoy it. And welcome to the best Hayley forum on the web. I do hope that you enjoy being a member here. Don't forget to come back regularly to pick up on the messages and other Hayley news. And we look forward to reading your messages to us. A warm welcome to you. I hope you enjoy being a member of the forum. Feel free to post on any topic here. Or, you could start one of your own. I look forward to reading your messages. Why not tell us a little about yourself. How did you first "discover" Hayley - anything like that would be great. Hi! My name is Natasha, and I'm a HUGE fan of Hayley! She's just really, really amazing! I really love, "Pokarekare Ana!" It's soooooooooooo beautiful! Well, bye for now!